We Have a Winner! Congratulations HalloweenJack85, you're the proud new owner of some seriously cool TCM2 goodies! To celebrate the eleventh episode of Collection Complete, which answers the question, “Where is the saw from Texas Chainsaw Massacre 2 now?” we’re giving away: One (1) signed Texas Chainsaw Massacre 2 Collector’s Edition Blu-ray from Shout! 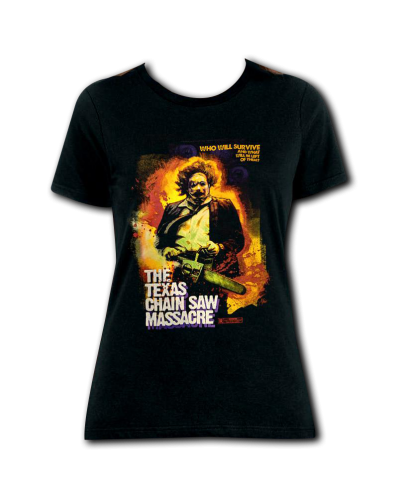 Factory, one personally signed 8x10 of Caroline Williams, the Star of Texas Chainsaw Massacre 2, and one officially licensed Texas Chainsaw Massacre Tee of your choice from Fright-Rags! Join Gemr’s Horror Club for your chance to win, and don’t forget to subscribe to Collection Complete, which ventures into the personal collections of Sean Clark (Horror’s Hallowed Grounds), Mike Mendez (Tales of Halloween), and The Hills Run Red producer Robert Meyer Burnett, with many more exciting guests to come. In this episode of Collection Complete, Sean Clark discusses the beginnings of his popular series Horror’s Hallowed Grounds, and shows off one of his many one-of-a-kind, screen-used props: the chainsaw from Tobe Hooper’s 1986 cult classic horror-comedy, The Texas Chainsaw Massacre 2! SUBSCRIBE to Gemr on Youtube and Hit the Notification Bell, so you never miss an episode! Gemr is the best place on the internet to meet your BCF's, show off your collectibles, talk all things geeky, and buy and sell cool stuff with people who love the same things you do.